The holiday season is typically a very indulgent time of year. And it all starts with Thanksgiving. Strict diets go out the window on a whim, and it seems everyone has an excuse to put healthy eating on hold until January. And we get it. If you follow the keto diet, this time of year can be especially tough. Turkey slathered in a thick, creamy gravy is delicious. Classic saccharin sweet cranberry sauce reminds many of us of our childhoods. And who can really say no to pumpkin and pecan pie? 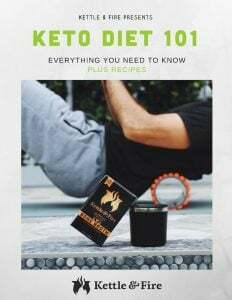 But there are so many creative, delicious keto-friendly alternatives to the classic dishes that don’t rely on processed foods, refined sugars and carb-loaded ingredients. 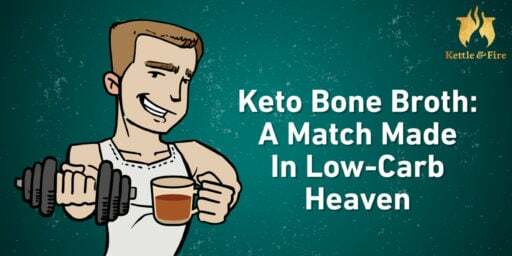 Believe it or not, there is even a way to make a keto stuffing with flavors that hark back to your childhood, and satisfy the craving without compromising your health or everything you work for on a daily basis with your diet. Here’s our list of Keto-Friendly Thanksgiving recipes, along with a few holiday hacks to keep your macros in check. Traditional gravy relies on refined flour to get its flavor and thickness, bringing the carb count to 5 grams for just one tablespoon. 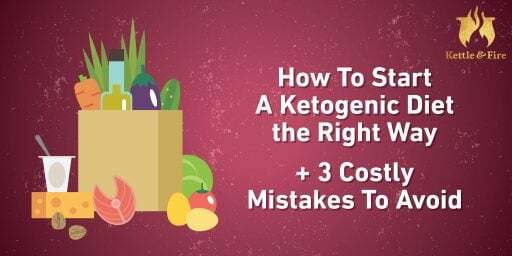 This is definitely an easy way to kick yourself out of ketosis. Instead, try this keto-friendly umami gravy from Nom Nom Paleo, which relies on mushrooms, fish sauce and bone broth for the ultimate umami flavor and a serious reduction for thickness. You can pour it over organic oven-braised turkey or a cauliflower mash. Traditional cranberry sauce, whether homemade or store bought, is full of sugar. And while most fruits should be avoided on the keto diet, there are a few exceptions, such as berries, which are much lower in natural sugars. Cranberries are actually the lowest sugar berry out there — but they are tart. Therefore sweetening sour cranberries with a touch of blueberries — like this Sugar Free Cranberry Blueberry Sauce by Low Carb Yum — is a sweet compromise. This recipe, which calls for blueberries cooked down with spices (including cinnamon, nutmeg, and allspice), will give you the sweet, keto-approved accompaniment you might be craving with your turkey without compromising your macros. In the realm of vegetables banned from the keto diet, potatoes are at the top of the list, as they’re super high in carbs. Now a beloved alternative, creamy, buttery mashed cauliflower can hit all the same pleasure spots. And this recipe from Wellness Mama proves it. Cauliflower once again can step in to save the day for Thanksgiving. As the name implies, traditional bread stuffing is made up of all bread. But what makes it so delicious and evocative of the holidays are the spices, nuts and seasoning used. This Cauliflower Rice Stuffing from the Healthy Maven proves you can get all those flavors with way fewer carbs. While green beans and brussels sprouts have a similar amount of carbs, the classic American green bean casserole relies on carby canned soups for creaminess and fried shallots for a crispy finish. Kettle & Fire’s Keto Brussels Sprouts Gratin, on the other hand, gets creaminess and flavor from mozzarella cheese, bone broth, and a little bit of crunch from a pine nut crust. Best of all, this Brussels sprouts gratin recipe is extremely low carb and loaded with other healthy fats, such as olive oil, which not only makes it keto-friendly, but keto encouraged! Turns out, it’s easy to make pumpkin pie without the carbs and sugar, since pumpkin is already has a natural hint of sweetness. This recipe from Wholesome Yum has less than 10 ingredients and relies on an almond flour crust to get the full effect of eating a pie. It also uses a natural sweetener and all the pumpkin pie spices to enhance the flavor of the squash. With just those few modifications, this pie comes to only 8 grams of carbs per serving, as opposed to the usual, which clocks out at a whopping 40 grams. Keep a mental track of foods that are super high in sneaky carbs. And if you end up eating something that’s typically off-limits, don’t stress — just compensate during your other meals. 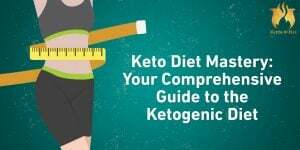 If you need a refresher, we’ve outlined a list of foods to eat and avoid in our ultimate keto diet food list. If you’ve been invited to someone else’s house for Thanksgiving lunch or dinner, give them a heads up about your diet and contribute by bringing a dish or two that you know you can eat. If bringing food to a dinner outing isn’t an option, eat something before you go. That way you won’t be ravenous and therefore tempted to make decisions you’ll later regret. Drink lemon water and/or apple cider vinegar before meals to improve digestion and absorption of the nutrients you’re eating (this can also help prevent the classic, post-holiday meal bloat). Have a positive mindset towards food (don’t stress so much about what you’re eating! ).